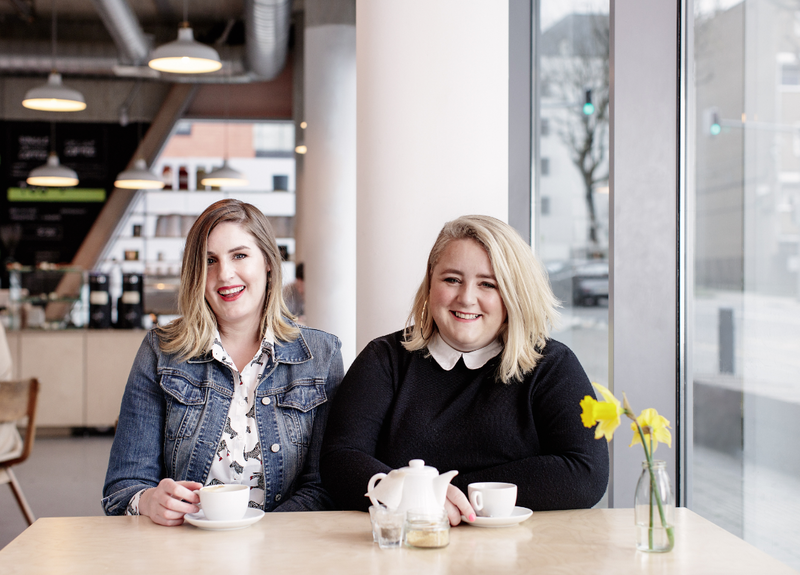 Emer McLysaght and Sarah Breen are the fabulous writing duo behind the hilarious, Irish novel called ‘Oh My God, What A Complete Aisling. The Novel’. A book that all women can relate to, at some stage in their lives. Sarah: Emer and I met studying media in Dublin. We hit it off immediately – I thought she was hilarious from day one – and we started hanging out whenever we could and eventually moved in together. Emer went on to work in radio journalism and I got into magazines so our professional lives never really overlapped, although we always dreamed of working together one day. In 2016 an Irish publishing company approached us about writing a book together and we decided to go for it. Emer: Having both worked in Irish media, writing for Irish women, we felt like we would be able to have a go at writing a novel. It’s the kind of thing you dream about when you’re growing up and your favourite subject in school is English and you’re devouring a few books a week. What made you come up with the concept for the ‘Oh My God, What A Complete Aisling’? We came up with the character of Aisling one day during a conversation about mascara – we decided whoever keeps the brown mascara industry going is also the person who hangs up signs in the office kitchen begging people to put their mugs in the dishwasher (always typed in comic sans!). She’s that friend who writes “suits you” under pictures of women holding babies on Facebook and knows the Weight Watchers Points in absolutely everything. Our friends soon got into it so Emer made a Facebook page, called Oh My God, What a Complete Aisling, where we could all share our “Aislingisms”. It gained a cult following and now has more than 50,000 members. The novel is based on what happens when Aisling gets sick of waiting for her boyfriend to pop the question. How do you find it, writing as an duo? Sarah: We couldn’t imagine writing any other way! Because we know Aisling so well, and know how she’d react in any situation, it’s easy for me to continue Emer’s thoughts and vice versa. We usually decide what needs to happen in the next few chapters and just go away and fill in the blanks. I’m always HOOTING at Emer’s work. Emer: And I’m always in bits at Sarah’s work. I think we compliment each other in our writing. Oh My God, What A Complete Aisling has a mixture of both very funny and very sad moments, and somehow between us we’ve managed to strike the balance just right. It’s like we were always meant to write this book together! You have quite a following on your Facebook page, which provides entertainment, solutions and current affairs, how have you found the response to the page? We are incredibly proud of the OMGWACA group. It’s crazy to think that what started out as an in-joke about Aisling 10 years ago is now this warm, inclusive community that’s spawned so many real life friendships. It’s really only a matter of time ‘til we have our first OMGWACA wedding! As pointed out in the book, we all have a bit of an Aisling in ourselves. What defines you as an complete Aisling? Sarah: I reckon I’m about 40% Aisling – I religiously collect Boots points, I would never get off the bus without thanking the driver and nothing makes me happier than drying clothes outside on the line (the amount of electricity the dryer uses is shocking!). I think Emer is a bit more Aisling than me – I’ve seen her bring earplugs to a music festival and she will insist on queuing for a flight the minute the gate opens. Emer: Hey, there’s nothing wrong with a good night’s sleep at a festival, or an airbed, or a lock for your tent! I would agree that I’m more of an Aisling, maybe 50%. It’s true that I don’t feel at ease until I’m safely in my plane seat and my carry on is safely stowed. I also indicate religiously on roundabouts and would be evangelical about the difference between tea towels and hand towels. Sarah: Anything by Marian Keyes – ‘Rachel’s Holiday’ is a favourite of both mine and Emer. The entire works of Adrian Mole – he was SUCH an Aisling. And some kind of survival manual – I’d need to be able to distil my own gin or else I’d just walk into the sea. Emer: I hope that Sarah would let me borrow her ‘Rachel’s Holiday’ and her Adrian Mole. I’d also bring the collected tales of ‘Anne of Green Gables’, it was a real childhood favourite. And while we’re at it, a couple of my old Paula Danziger books. I think that reading funny women like her when I was younger really influenced my writing. Sarah: Bridget Jones – I love how funny, real and relatable she is. That Aisling has been compared to her is incredibly flattering. Emer: Sarah beat me to it with Bridget. I’d also have to mention Adrian Mole again, he’s just the perfect amount of hero with a dash of ridiculousness. Sarah: “The baby is dead. It only took a few seconds.” It’s from ‘Lullaby’ by Leila Slimani. How could you not want to read on?! Emer: “We slept in what had once been the gymnasium”, from ‘The Handmaid’s Tale’. I just feel like it’s so loaded. It already gives away so much. Sarah: Food. I like to reward myself after every paragraph. Emer: I write at a laptop but always have a good old pen and paper beside me for making notes to come back to. It might just be one scribbled word but it will be enough. We are currently writing the screenplay for the film adaptation of Oh My God What a Complete Aisling’, which has been such a joy. We are also putting the finishi’ng touches on the sequel, which is due out in September. 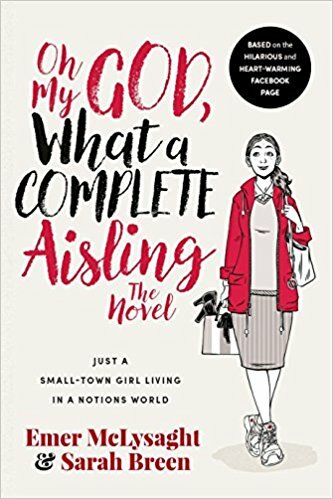 You can buy Oh My God What a Complete Aisling from Amazon and is available to buy from good bookshops.